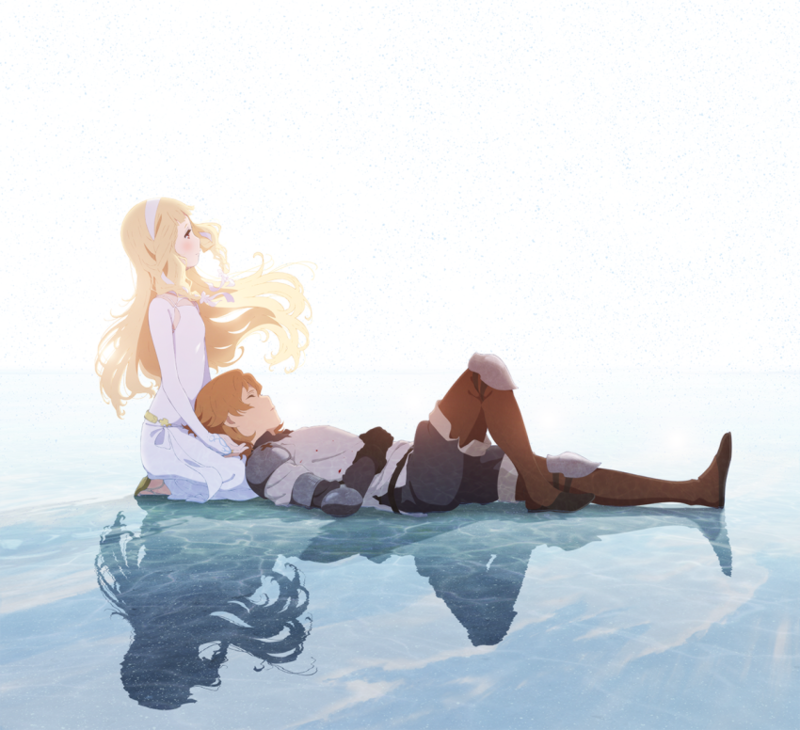 “Maquia: When the Promised Flower Blooms” receives international premiere at the 2018 Glasgow Film Festival. UK and Ireland theatrical release from Anime Limited to follow. After a huge year packed with theatrical anime over the course of 2017, we’ve been hard at work here at Anime Limited to provide you with even more fantastic films and unique experiences in 2018, and today we’re very proud to announce a perfect confluence of these two goals. With today seeing the launch of the programme for the 2018 Glasgow Film Festival, we can confirm that the festival line-up will include an international premiere screening – the first outside of Japan – for a major new anime film, directed by one of the industry’s most exciting female talents. As a result, we can now announce that just one week after it opens in Japanese theatres, you’ll be able to catch the premiere of Maquia: When the Promised Flower Blooms at the Glasgow Film Theatre, with the screening taking place on Sunday 4th March at 1:30PM. You can book tickets for the screening – which features Japanese audio with English subtitles – to GFF members from noon on Thursday, 25th January from the Glasgow Film Festival web site. Tickets go on general sale on Monday, 29th January at 10AM. The film marks the directorial debut of Mari Okada, previously best known as a notable anime screenwriter with credits including Anthem of the Heart, Kiznaiver and Nagi no Asukara: A Lull in the Sea. The film’s animation is handled by P.A. Works, themselves making their first foray into an original theatrical film production after making a name from their stunning works in television anime via titles such as Angel Beats, Charlotte and SHIROBAKO. Meanwhile, the film’s soundtrack is provided by Kenji Kawai, the composer on a number of well-known anime including Ghost in the Shell. Following this international premiere, Anime Limited will also be releasing the film theatrically across the UK and Ireland this March – more details will follow on our full release plans as soon as possible. Synopsis: “Acclaimed screenwriter Mari Okada makes her directorial debut in this animated fantasy feature. We’ll have plenty more information, imagery and trailers to share about the film over the coming weeks in the build-up to this premiere and subsequent UK theatrical release, but for now make sure you don’t miss out and book a ticket to be amongst the first people outside of Japan to see this exciting new anime feature film! It’s also worth noting that this isn’t the only exciting screening we’re hosting during the Glasgow Film Festival, so check back over the coming days for full details of another thrilling event, and another addition to our UK theatrical line-up for 2018. Until then, take care and get to booking! I wanted to watch this but it looks like it isn’t showing in English..